Details: Standard Aquarium Clear seal 18x12x12 inch. 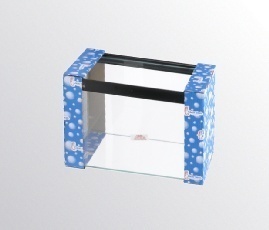 Clear-Seal standard aquariums are packaged with strengthened cardboard ends and rigid P.V.C. attached to the bottom front and rear of the aquarium for protection during transit. All of Clearseal come complete with a 5 year guarantee.